Go Solar with Velux and Save Big! Did you know that when you Go Solar by purchasing VELUX solar-powered products for your home, you are eligible for a 30% federal solar tax credit on the entire cost of your products and installation? Just ask for the Go Solar option with your skylight to save big! The Sun provides us with more energy in a single hour than the entire world uses in a year. So, why depend on energy from anywhere else? Velux offers a complete line of skylight products and complementary accessories from installation to the finishing touches. Choose from a wide variety of skylight models to find the bets skylight for your home. 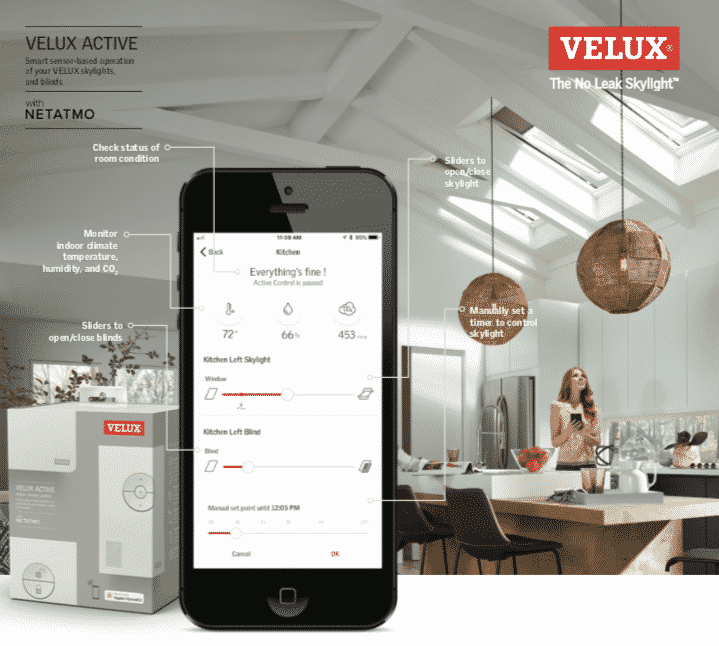 You can now download the Velux Active app now for a smarter, healthier home! Whether you’re at home or away, Velux Active is your home’s climate control and monitoring system. Trusted to create a healthier home environment, Velux Active’s sensor-based controls pair with your smartphone and automatically adjust your skylights and blinds for ideal temperature and air quality. Give our trusted team at Goldfinch Bros a call to learn more about Velux today! 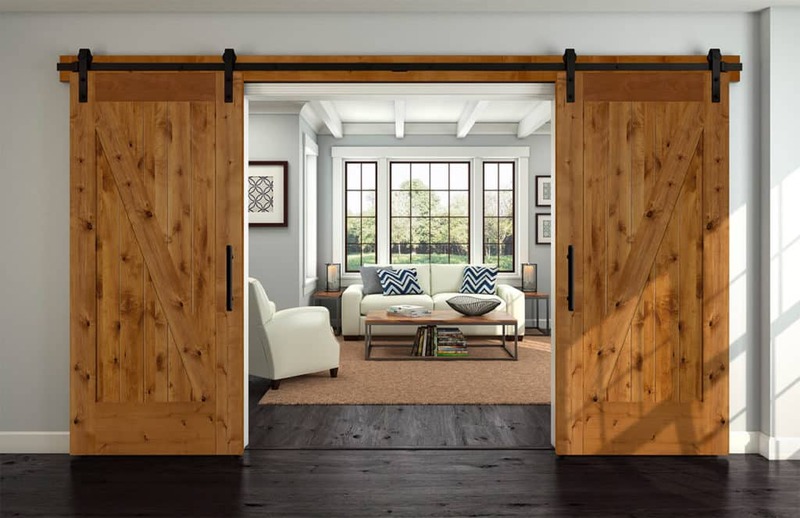 Whether you’ve taken inspiration from your favorite HGTV show or have seen the way a barn door can completely transform a room, the rustic style of barn doors has quickly become a stylish way to update your home. Over the last few years, barn doors have been a popular trend throughout households across the nation; But they aren’t just for barns anymore, farm style interior doors combines both practicality and aesthetic to tie the look and feel of a room together. Do your windows look foggy or fogged? Is there a collection of moisture or condensation between the panes? 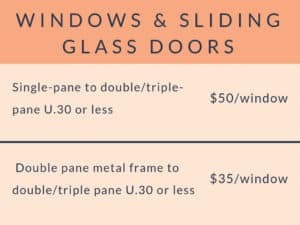 There is an alternative to whole window replacement if you are dealing with window seal failure. First off, here are some ways you can test your sealed windows whether they are double or triple paned insulated glass units (IGU’s). The first thing to do is wash the window to be tested both inside and out. Be sure to dry them, you want to be sure you have a true test. This test is also a good habit to get into and perform each time you clean your windows as a part of spring cleaning or regular maintenance. After washing and drying each window thoroughly, you can perform a simple visual inspection of each IGU. Do you see moisture or condensation between the panes of the sealed unit? It can manifest as a foggy patch or areas of water droplets. 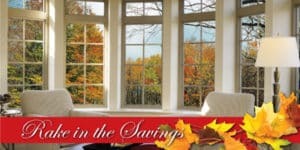 Install Energy Efficient Windows and Receive PUD Rebate! If you’re considering enhancing your home’s energy efficiency, homeowners in Snohomish County are in luck! If you have an electrically heated home, your family may be eligible to receive instant rebates through the Snohomish County’s Public Utility District (PUD), which is the second largest publicly owned utility in the state of Washington. The PUD offers eligible homeowners the opportunity to help you pay for energy-saving home improvements! Who is eligible for rebate? If you live in Snohomish County or Camano Island, homeowners with an electrically heated, manufactured home, townhouse or condominium for a single family, with up to 3 stories in height are eligible to participate in the PUD’s rebate. Goldfinch Brothers, Inc is proud to announce the arrival of Milgard’s new Trinsic™ Series! Trinsic is the newest addition to the Milgard vinyl line, where style meets efficiency and allows you to enjoy your view from the comfort inside your own home with their expansive windows, thin frames, and contemporary style. Milgard is a long-time, award-winning manufacturer who has been creating top of the line products for over 50 years. Have peace of mind knowing their windows are of the highest quality and are backed by the Milgard Full Lifetime Warranty. Premium painted vinyl windows are a popular trend, and for good reason. Not only are painted vinyl windows affordable and easily installed, they’re also extremely energy efficient and low maintenance. There was once a time when options were limited and homeowners had to settle for white vinyl windows. Today, limitations are a thing of the past. Due to their increasing popularity, one can choose from a variety of premium colors from top manufacturers such as Milgard and Ply Gem. Find the perfect color to enhance your home’s style at an affordable cost. Clean Windows: the secret to full visual enjoyment of your windows. 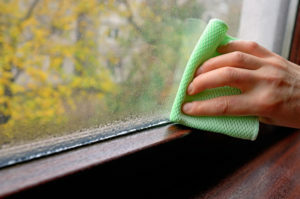 Here are the best tips for window cleaning inside and out. Old man winter can leave a murky build-up on your windows. One of the reasons you value your windows is for the clear views to the outdoors. 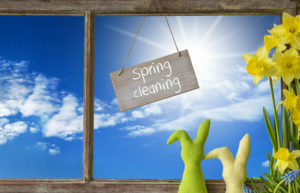 So, when it comes time for spring cleaning and washing your windows here are some great tips for a quality cleaning experience. Some people prefer commercially available products for their ease of use or personal preference. But if you are looking for a completely green conscious approach try these tips using common household products. When it comes to shower doors and shower enclosures, what else could we see in innovation that we haven’t already seen in this ages-old industry? Plenty! And we have it all available for you. We carry the finest products in the industry for both shower doors and shower enclosures. And these products come in the very latest design innovations on the ages old industry. One of the products we proudly use for our professional installation of shower doors and shower enclosures is Agalite. This brand leads the way in design innovations that really make a difference. The Transcend line of products showcases such creative marvels as the “Barn door” style double bypass shower doors. Both inner and outer doors have full range of operability from side to side. 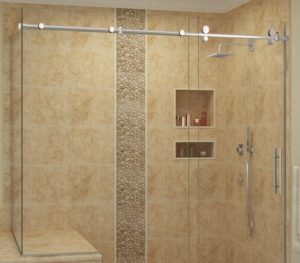 The top hung shower doors glide along effortlessly through the use of a superior quality, smooth and flowing rolling system. 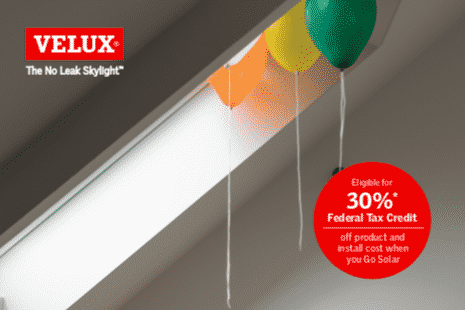 Combine 30% in tax savings with the glamorous and healthful benefits of installing Velux® energy performance model skylights for a winning combination in your home improvement endeavors. Let’s face it, living here in the Northwest can often include long periods of dreary weather which can negatively impact emotional health by lowering energy levels. A sure way to combat this is to install skylights above the most highly occupied living areas of your home. Adding natural light pathways into your home brightens the interior significantly – even on the grayest of days. With the addition of skylights, you will see the shadows conspicuously diminished, right into the corners. Watch your overall moods rise as the interior atmosphere of your home comes alive with the sparkle and dazzle of natural light. Guests will be sure to comment about the pleasant feeling of your home.